Snt. Nicola Touristic Village is located in the north part of Dhermi beach, by the sea and near the summer residence of the Albanian President . 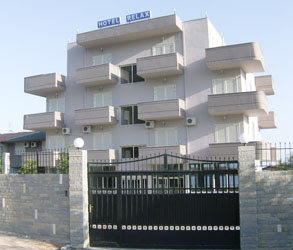 Royal Blue Hotel is a brand new hotel opened on July 2012. 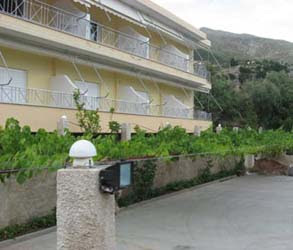 The hotel is located just a few steps away from the wonderful and well-known Dhermi beach. Build on 2011. The Residential Complex HILDON is an ambitious project which brings innovation in the construction field in Albania. 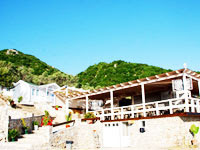 Drymades Beach complex in Dhermi is built in village of Drymades, between the sea and the mountain. It consists of a hotel and a set of villas. 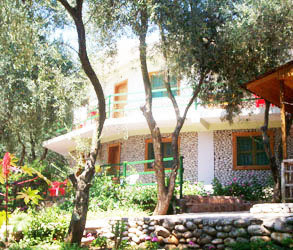 Mansions of the Pasha's residence hotel is located in Drymades Beach only 550 m from the beach. There are 14 Rooms intotal, decorated with a clasic style, wooden beds , bricks, and cooper decorations. Hotel Belle Vue is located ar a wonderful panorama at the most beautiful village of Albania, among the olives hills , few meters from the blue sea and offer to enjoy an amazing panorama. Welcome to Drymades Oasis, located in the Ionian coast in the picturesque village of Dhermi very near the sea, in an environment of green and very quiet! Drymades Inn has been built in one of the most beautiful spots in the picturesque village of Drymades between the sea and the mountain. 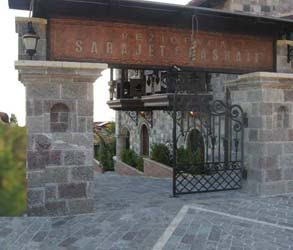 Greccia hotel is a new hotel build on 2011. 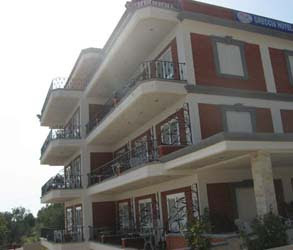 Greccia Hotel is located in the main road connecting National road going to Saranda with the beach of Dhermi. 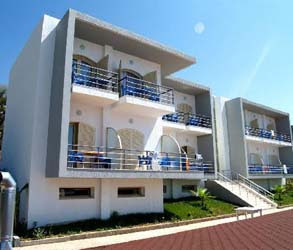 Hotel 2000 is located right on Dhermi Beach in the most popural area of dhermi, only 20 m from the sea. 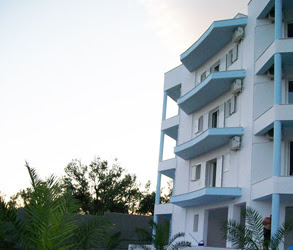 Ionian Hotel in Dhermi is the brand new hotel opened on July 2011 with large surface and best location right on the beach of Dhermi which is the most frequented beach of Albania. Welcome to Poseidon Hotel in Dhermi! Located in a scenic area amidst the crystal clear waters of the sea and the blue cobalt sky the Poseidon of Dhermi embraces the unique style and the striking architecture of modern arts. 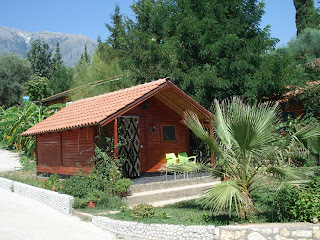 Looking for a place to spend pleasant holidays with your family. 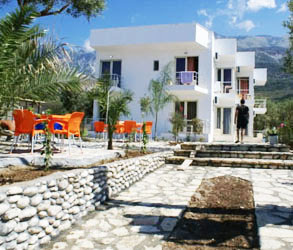 Relax Hotel in Dhermi offers you an opportunity to relax. 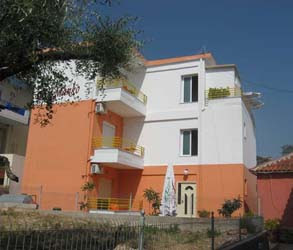 Marko apartments in Dhermi Beach is a complex of 17 apartments family managed. 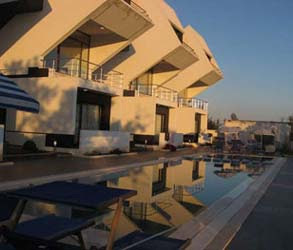 The complex is located only 150 m from the famous beach of Dhermi, resturants, cafees, and bars. 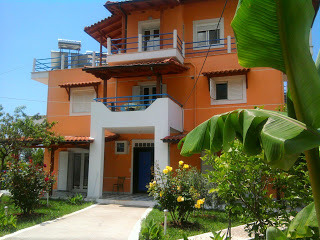 The apartments are fully equiped, with doble bed, sofa , kithchen, refrigerators, washing machine, shower. From the villa to the beach is the a aphalt road which takes not more than 5min driving. 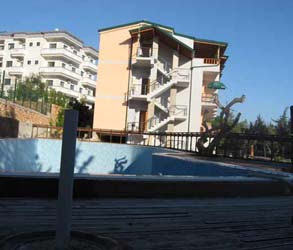 Blu Blu Complex is located in one of the most beautiful beaches in Dhermi Albania. 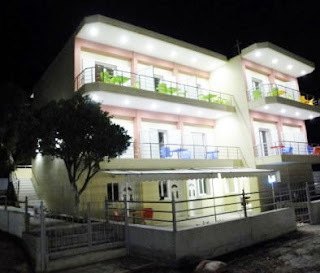 Capacity: 12 villas quite pleasant, where 6 are matrimonial room androom for children and 6 are only double. 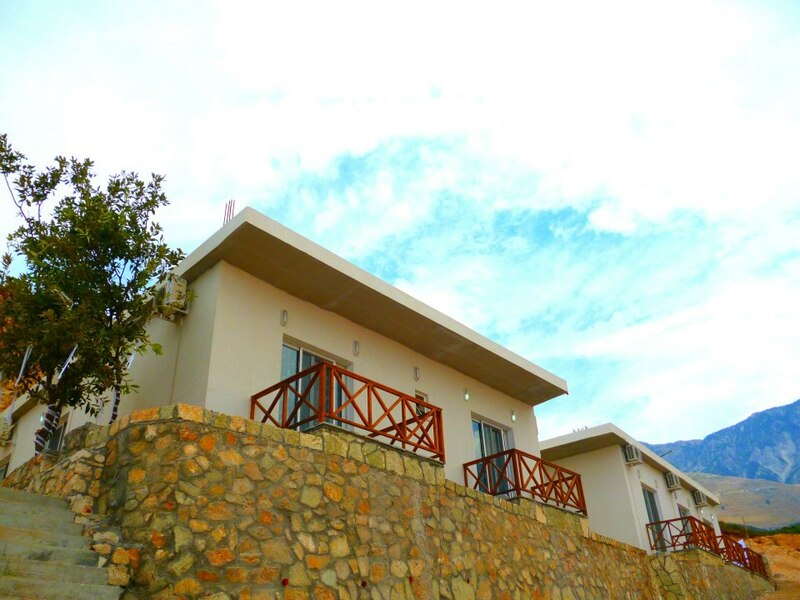 Yard Paradise Hotel - Studios & Rooms is located in Dhermi village on the way to Drymades beach.It is a family managed hotel. The hotel was built in 2012, located 10 meters from the sea.